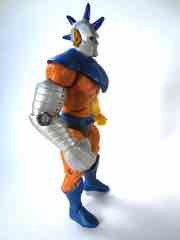 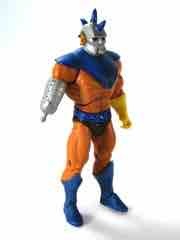 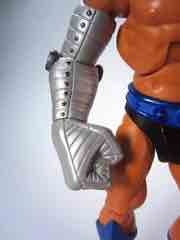 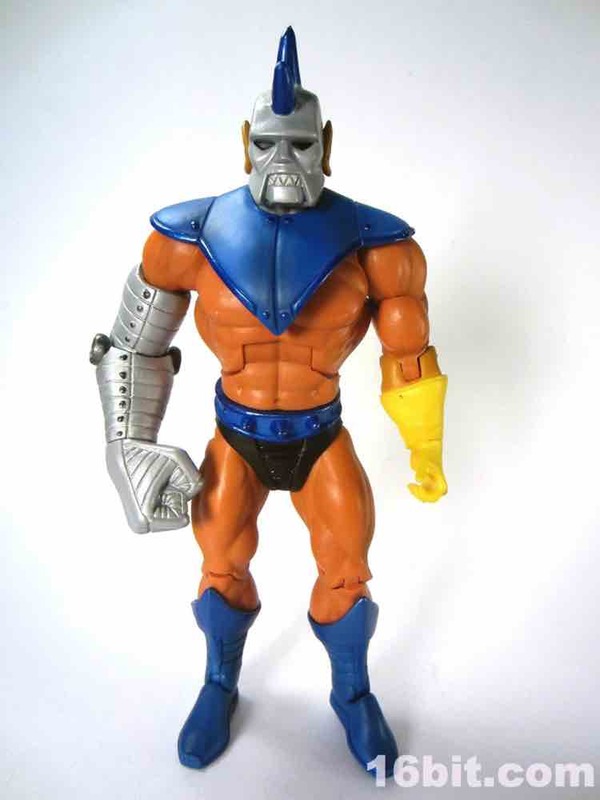 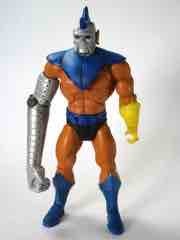 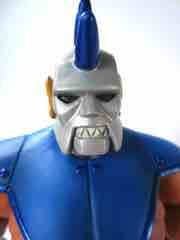 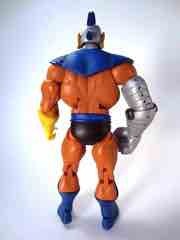 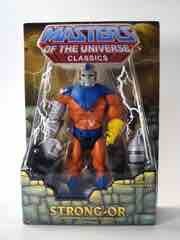 When I first saw a thumbnail of Strong Arm Strong-Or, I briefly thought I was looking at Jet Jaguar of Godzilla fame. 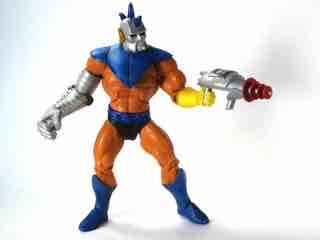 A lot of blue, silver, and what may as well be orange combine in a cyborgtastic mishmash that's both delightful and completely unnecessary. 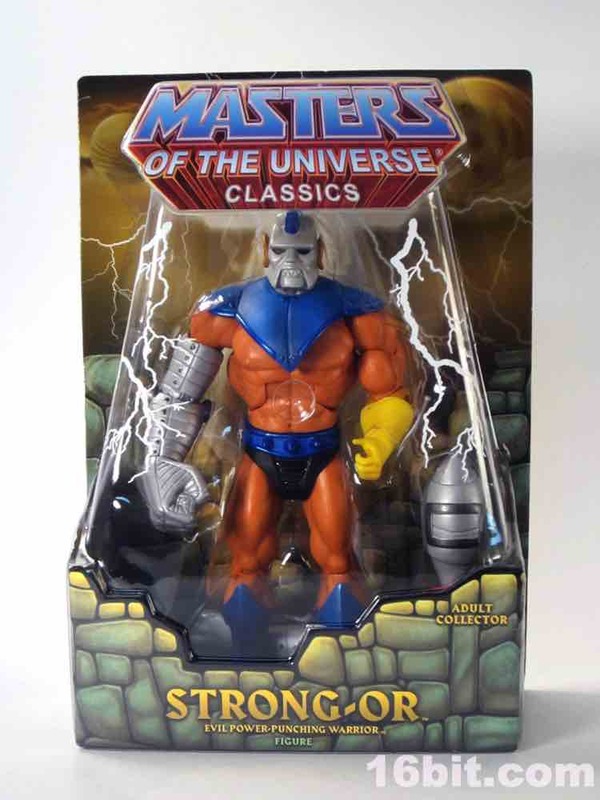 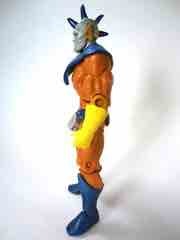 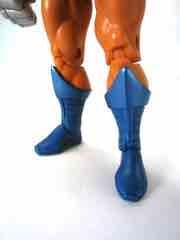 At 7-inches tall, Strong-Or is a nifty release and to non-fans may as well be an original creation. 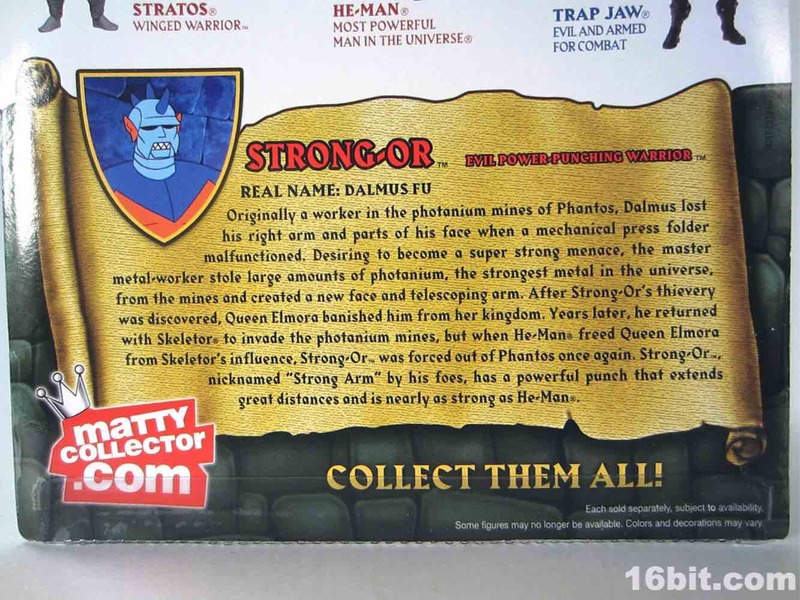 Filmation created a limited cast of villains for the show that weren't already toys, you can see him in the episode She-Demon of Phantos. He doesn't make much of an impact in his brief screen time, but you do get to see his growing arm power and the Four Horsemen recreated that here with an alternate limb, complete with an extra fist. Articulation for this figure is standard for the line, but the deco seems a bit better - there are more metallic and glossy highlights, a little bit of shading, and decorated rivets to enjoy. The head is quite close to the animation model, complete with sharp teeth. His backstory is that part of his body got blasted off and replaced with Photanium, a super-strong metal which he mined and later stole. Hey, whatever works - he comes off as some sort of giant-fist cyborg punk, complete with spike mohawk. It really looks like it could have been a figure in the 1980s (with less detail), so Mattel made a good selection on picking this one for its action figure line. 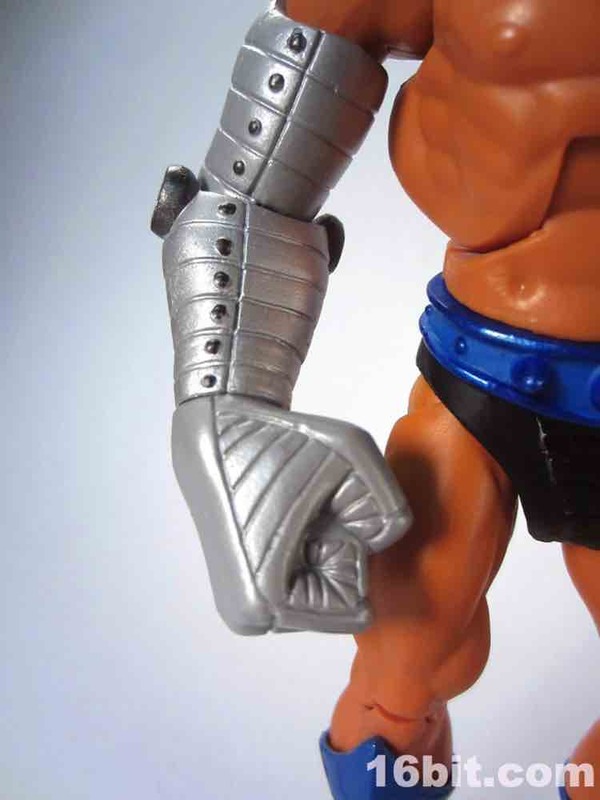 Aside from the swappable arm - which is an OK accessory, but I wouldn't miss it if Mattel just included some extender piece instead - it's not bad. 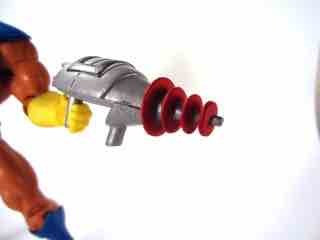 The other accessory is an Inter-Dimensional Transport Ray which doesn't even appear in this episode. 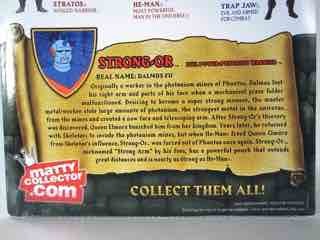 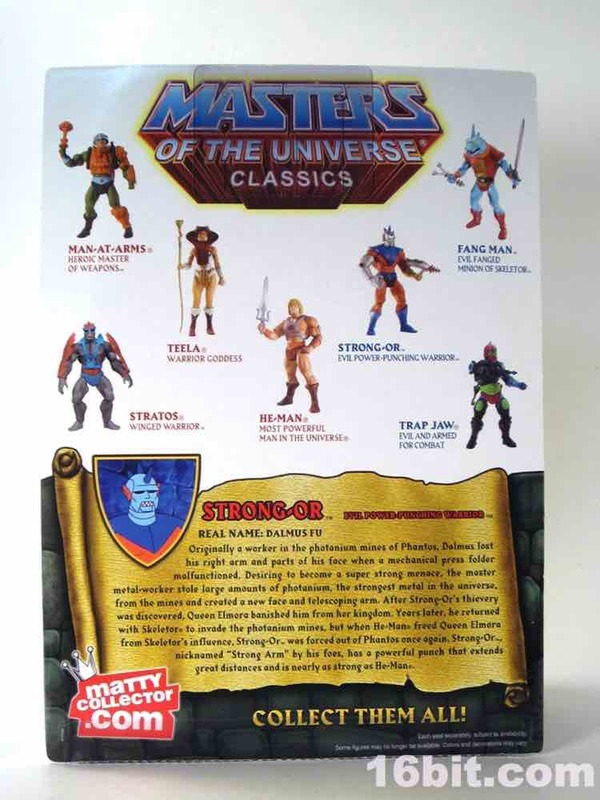 You can find it in "Teela's Triumph," used by Evil-Lyn and later Teela. 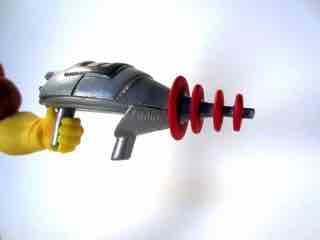 It's really cool - it looks like some retro ray gun device that would be old hat by the 1980s, so its inclusion here is a nice bonus. 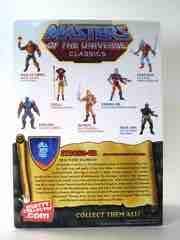 Mattel mentioned they want to include more artifacts like this in upcoming toys, and to that I say "awesome." It's a nice little bonus in a figure that really didn't need another accessory. 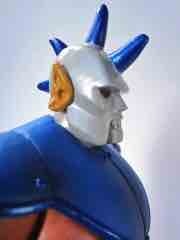 I like the goofier.shtmlects of He-Man, and the colorful villains from the cartoon certainly fit the bill. I can say that the Filmation sub-group isn't remotely what I expected, but I dig it. 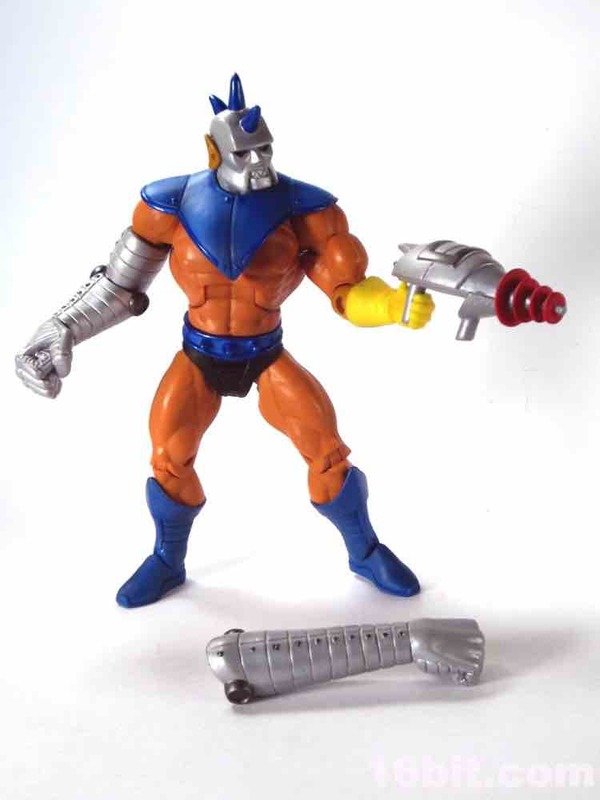 This figure could be a thug on nearly any sci-fi cartoon series, so it's nice to see it here if for no reason other than Mattel has been digging through some bizarre figure choices lately.